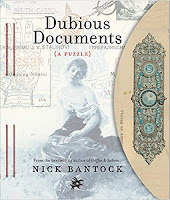 Nick Bantock's puzzle books are not for the faint hearted. If solving the clues was easy where's the challenge in that. 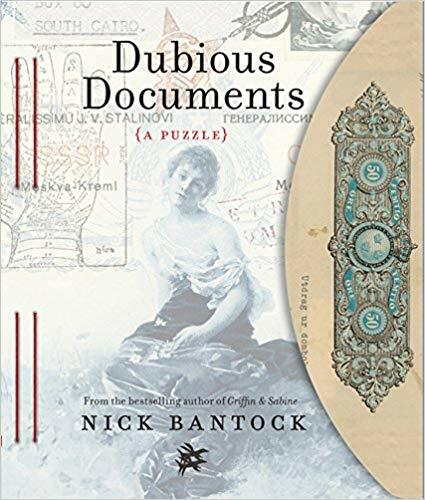 This latest book will keep readers guessing as they pore over sixteen envelopes and their contents. Each has a pull-out A4 sheet printed on both sides with a fascinating collection of intricate collages containing maps (one is of the complete Paris Metro from past decades) financial documents, flowers, engravings of animals, stamps, ads, portraits and everyday printed ephemera. Don't forget the envelopes either, each one is made out of coloured pictures (though no gum on the back flap) and clues can be on the front or back. The first eight pages has an introduction from mystery man Magnus Berlin and a spread with sixteen one sentence long clues to get you started. Even if you can't solve the puzzle the book is a delightful keepsake from the master of the visual mystery.